When Tracy Eckert picked up the phone and heard her friend on the end of the line asking for donations to raise money for police officers injured or killed in the line of duty, she didn't understand why he acted like he didn't know her. "The cadence, the voice was absolutely his, and he sounded like a police officer," said Eckert. "I was actually a little bit irritated with him. How the heck could you not remember who this is?" Eckert's questions remained unanswered because the caller hung up. She didn't recognize the 860 number the call came from, so she reached out to her friend to see what happened by texting his cell phone. "I said in my text message, 'Let me know what drive you were calling for,'" said Eckert. 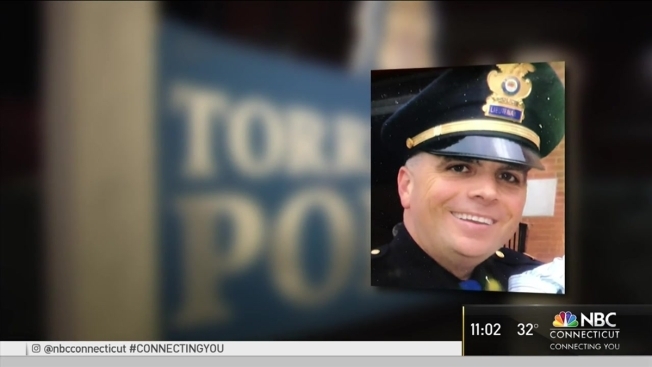 But her friend, retired Torrington Police Lieutenant Michael Emanuel, said it may have been his voice but not actually him calling. "It's 100 percent fraud. I can tell you - that on my end - I have nothing to do with whoever is calling," said Emanuel. Emanuel informed the department and they put out a warning on their Facebook page, calling it a "donation scam." So far, he's heard from several people who've received the same call from the same 860 number. When Emanuel tried calling it, the number was out of service. Emanuel wonders if he somehow got hacked since those targeted seem to be in his contacts. When it comes to the voice used, Emanuel has a theory about that too. "For about five years I was the press or public information officer, so there were many times my voice was on the radio or television. So they could have taken a snippet from that and built around that," said Emanuel. Emmanuel said people from Bridgeport, Bristol, Torrington, Waterbury, Winsted and Sharon have been contacted by the scammer. Eckert said she’s glad she found out the truth but worries others could fall for it. Torrington Police said the union does a fundraiser once a year and that they're not doing one right now. They recommend that if you have any questions about a phone call regarding a police fundraiser, hang up and call the police department to find out if it is legitimate.